American United Life Insurance Company (AUL), a OneAmerica company, has appointed James Gilligan to the position of regional sales director in the Orlando, Florida-based regional retirement services office. The latest Merrill Lynch Affluent Insights Quarterly finds that among those affluent individuals who work with a financial adviser in or outside the workplace, the majority indicate that this person plays an important role in determining how to help them make the most of their 401(k) or other workplace retirement plans. New York Life Retirement Plan Services has appointed Joseph Stabnick as its new director of marketing, effective immediately. Genworth Financial Wealth Management (GFWM), a subsidiary of Genworth Financial, Inc., has hired Matthew Matrisian to build a suite of succession planning tools, resources and services for advisers. 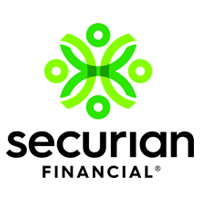 Securian Trust Company, N.A. announced that Sarah Monke was appointed president. Cash balance plan provider Kravitz announced it has opened a New York office to develop its business in the Northeast and serve existing customers. The Guardian Life Insurance Company of America has announced the launch of its new online resource center for employee benefits. SunTrust Banks, Inc. announced it has reached a definitive agreement for Federated Investors, Inc. to acquire approximately $17 billion in managed liquidity assets of its RidgeWorth Capital Management subsidiary. Cerulli Associates contends the growth opportunity for defined contribution investment only (DCIO) asset managers lies within custom target-date funds built for large plans (those with between $100 million and $500 million) and mega plans (those with more than $500 million in assets under management). The Hartford Financial Services Group, Inc. is launching a new educational campaign to help financial advisers consult with doctors, lawyers, and other professionals on planning for retirement in the face of rising taxes, health care reform, and increasing business expenses. The results of a recent survey of financial advisers reveal the "must-have" technologies for running a more efficient and profitable advisory business. Brinker Capital has announced plans to launch an absolute return portfolio embedded in a separately managed account (SMA) format. Post-recession, asset management firms are finding that brand is key to attracting clients. Schneider Downs Wealth Management Advisors, LP has announced a name change for its retirement plan division. ReFlow Management Co., LLC has introduced the ReFlow Fund Flow Volatility Index (FLIX Index), designed to help mutual fund managers better understand fluctuating asset flows and their impacts on fund performance. New Asset Management Target Market: 28 to 64? The next target market for financial services firms should be those ages 28 to 64 who are intent on accumulating wealth for their future, which may include retirement when they can no longer work. June 22, 2010 – In spite of stock market rebounds and emerging signs of recovery in various economic indicators, wealthy investors have not rushed to chase performance or seize risky market opportunities. June 17, 2010 – Charles Schwab has launched Schwab Advisor University, an interactive online training program to help registered investment advisers (RIAs) improve operational productivity and performance. The Principal Financial Group is now offering a business insurance rider on its Universal Life Flex policies. A three-judge court of appeals ruled that a federal district court should not have reversed a copyright infringement case brought by broker The Graham Co. against broker USI Holdings Corp.